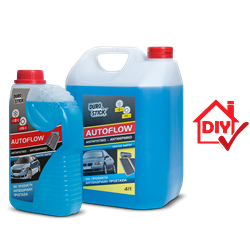 High quality antifreeze fluid with exceptional antifreeze ability for temperatures down to -18°C and equally exceptional heat resistance ability for temperatures up to +105°C. Ensures full protection from freezing, overheating and corrosion of all closed recirculating cooling and heating systems for automobiles and boats without damaging the rubber hoses of the system. Also ideal for solar water heaters.